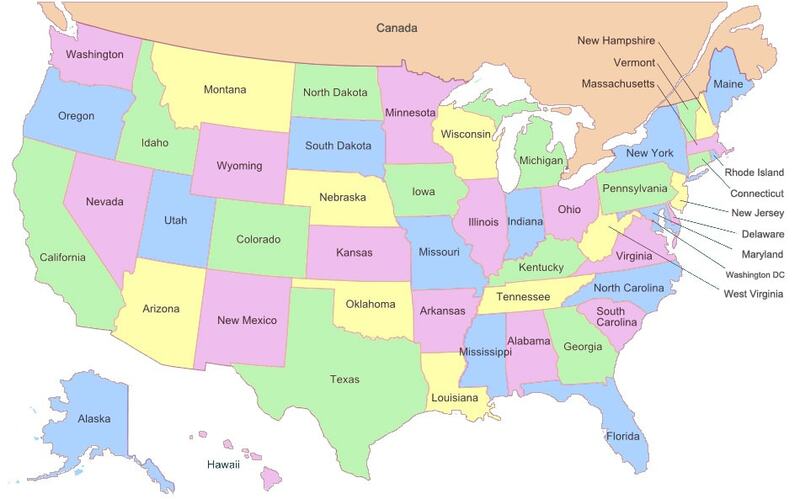 America is made up of 50 states, 5 territories, and federal district (Washington, D.C.). The country is bordered on the west by the Pacific Ocean and on the east by the Atlantic Ocean. Along the northern border is Canada and the southern border is Mexico. After a long struggle, on July 4, 1776, America got independence from Kingdom of Great Britain. “The Star-Spangled Banner" is the national anthem of the America. There is no national language in United States but most commonly used language is English. More than 300 languages are spoken by the population. Different religions are there in U.S like Christianity, Hinduism, Islam, Judaism, Unitarian Universalism, Wicca, Druidry, Baha'i, Raelism, Zoroastrianism, Taoism and Jainism. But out of those Christianity is the largest religion. America is the world largest producer of corn (maize), wheat, sugar, and tobacco, fresh fruits, vegetables, gold, coal and uranium. How many Nobel Prize winners in America? Since 1901, America has had overall 371 Nobel Prize winners in the area of literature, medicine, physics, peace. America is home for best education and best choice for higher education. It has more than 2000 universities & colleges. Some of the most popular and old universities are Stanford University, Massachusetts Institute of Technology (MIT), California Institute of Technology (CalTech), Harvard University, Princeton University. Coming to the science and technology, America has been a leader of technological inventions and scientific research. Alexander Graham Bell(Inventor of telephone), Thomas Edison's (Inventor of electric light Bulb), Wright brothers (Inventors of airplane), Nikola Tesla (developed the radio, fluorescent lights, the Tesla coil many others), Cyrus McCormick (Inventor of mechanical reaper)are some of the greatest American inventors that have helped make our lives easier by inventing things we use in our everyday lives. NASA (National Aeronautics and Space Administration) is an independence space agency and is the part of the America that deals with space exploration and aeronautics. NASA started on July 29, 1958, it had many successful missions such as ISS and Apollo 11 which put the first man on the Moon. What are best tourist attractions in America? America is home to a wide array of popular tourist destinations like natural wonders, cities, historic landmarks and entertainment venues. Some of most popular tourist attractions are Grand Canyon, Niagara Falls,Statue of Liberty, White House,Yellowstone National Park, Walt Disney World Resort, Golden Gate Bridge, Las Vegas Strip, St Louis Arch etc.